Normally, sweepstakes do not require skill, they are drawings of chance. However, recently sweepstakes that require people to take a further action, such as designing something, finding a name, creating a catchphrase etc. has becoming more popular. 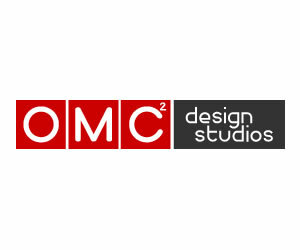 This is because it is observed by sweepstakes organizers that games or drawings of chance which also appear to rely partly on skill are likely to attract more entrants than sweepstakes that you join only by simple registration. The increased amount of entrants is caused by several decision-making and behavioral biases. This situation at firsts might look to create a contradictory evidence to theory about levels of attention required and number of participants in an event i.e. it is normally expected that competition events such as contests or sweepstakes that require higher levels of attention, effort and submission requirements would in return get a lesser number of participants, as in this case, it appears the entry becomes harder yet the participation not only not-decreases but actually increases. The theory of relationship between the number of entries and submission requirements actually holds true for sweepstakes too, but the effect is offset by a series of biases. Firstly, people think they could affect the odds of winning in a favorable way by putting their skills in action. 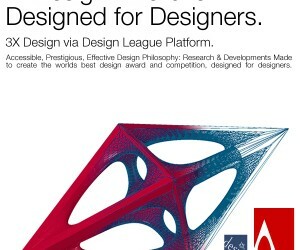 People tend to have a feeling that their chances of winning the design sweepstakes will be higher if they could submit some designs which would be better than others of the group. This is indeed a self-casted illusion, and actually the bias in charge is called the “Illusion of Control” i.e. the tendency to overestimate your degree of influence over the results of the external events. Sweepstake organizers rarely check these entries, or the entries rarely have an effect on the outcomes, yet the illusion of control increases the number of participants who now have an higher expected outcome from the event. In addition, we could speak about “Anchoring” i.e. the common tendency for humans to rely heavily on a piece of information when making decisions. 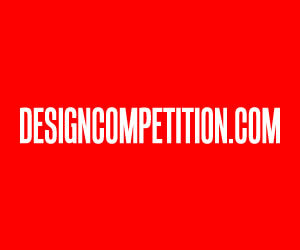 In this case, the bias makes us to interpret a “Design Sweepstake” as a “Design Competition” where the rewards would be higher as you not only win an item, but you also prove your skill, this also creates an increase in the number of participants. Another bias in action is “Attentional Bias”, in this case the number of entries to a design sweepstakes increase just because more people show attendance to it, due to the new advertising nature of personal involvement. 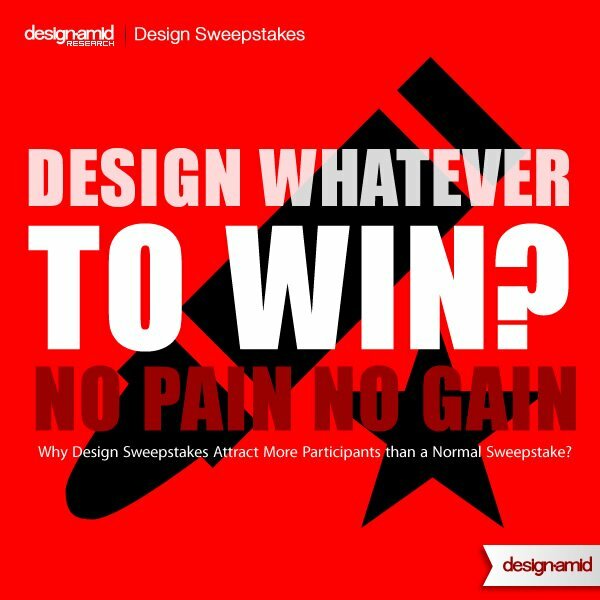 The sweepstakes is one of the examples that involving design creates additional possibilities for dissemination and publicity for any kind of events. 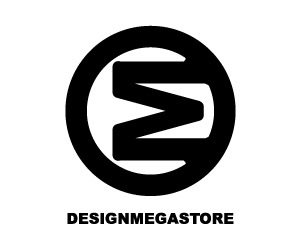 But design sweepstakes and contests are becoming popular, as now they could also be used to engage the users in social media to attract and reach a wider audience. The system of such sweepstakes, chooses for instance the top X winners, these X number of people are sent a letter, stating that now we have X people to decide from, but there will be public voting through one of the social media channels, our website etc. The letter asks you, as the "semi-finalist" to ask your friends to vote for your design. 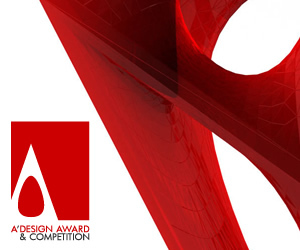 As you could clearly see, many amateur designers hoping to win these awards and prizes as offered in the sweepstakes participate in such events resulting added publicity for the organizers through personal advertisement policies of the organizers. Horswill, M., and McKenna, F. 1999. “The Effect of Perceived Control on Risk Taking.” Journal of Applied Social Psychology 29: 377- 391. Fisher, C.1978. “The Effects of Personal Control, Competence, and Extrinsic Reward Systems on Intrinsic Motivation.” Organization Behavior and Human Performance 21: 273- 288. Slovic, P., and Lichtenstein, S. 1971. “Comparison of Bayesian and regression approaches to the study of information processing in judgement.” Organizational Behavior and Human Performance, 6,649-744. This article was added on Monday, 27th of January, 2014 at 05.26 am by author Onur Cobanli Tags: design contests, design sweepstakes, sweepstakes. Read our copyright policy here.